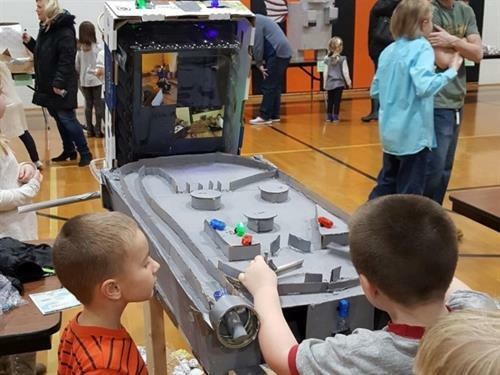 The challenge is to build an original game, gadget, or work of art from everyday materials like cardboard, duct tape, and recyclables. Students can work individually or on teams up to 4 members. Bring finished creations to this special event where classmates share projects and ideas. This opportunity fosters creative thinking, confidence, and originality in hands-on learners while they learn control, make mistakes, and perfect skills; where students apply STEAM so they can fix, make, build, and change the world. Winners are announced at a special ceremony during the event. Prizes will be awarded based on merit, competition guidelines, & general grade levels. Four top prizes of $100 each will be awarded during a special ceremony at the event. Sign-up today - space is limited! Register at www.builditchallenge.org.